Magnum of Veuve Clicquot Rose In Wooden Box - A Magnum Of Veuve Clicquot's stunning first ever non-vintage rose Champagne which was launched in London in March 2006. 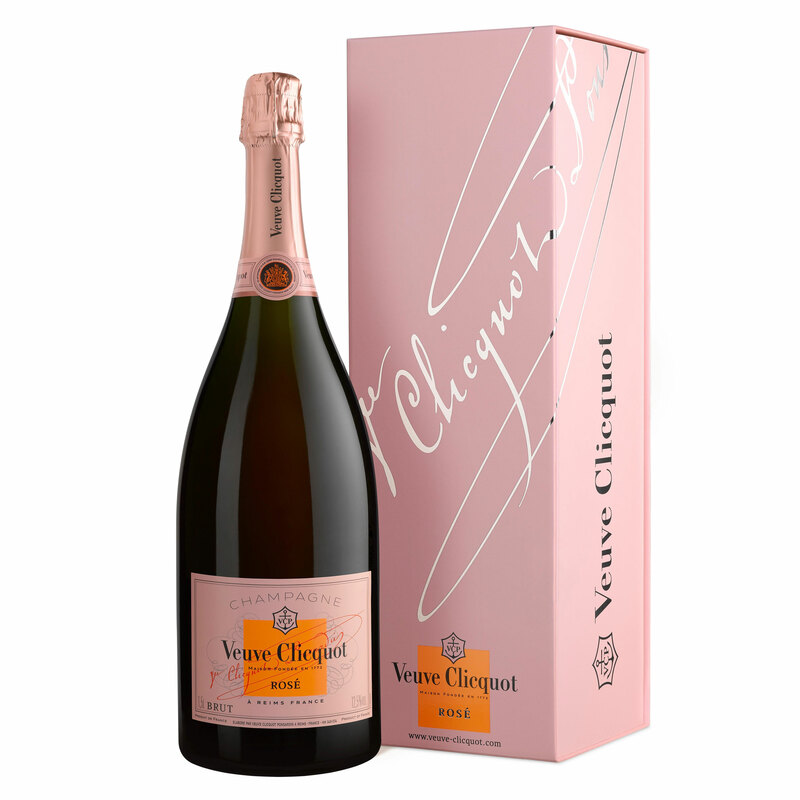 Although Veuve Clicquot was the first champagne house to commercialise pink champagne in 1775 the decision wasn't taken until 2000 to produce a NV rose. The colour is a delicate pale orangey pink and the flavour is dominated by summer fruits: raspberries strawberries and cherries. Essentially the rose expression of the famous Veuve Clicquot Yellow Label this is the perfect aperitif and quite simply THE champagne to celebrate with this summer!